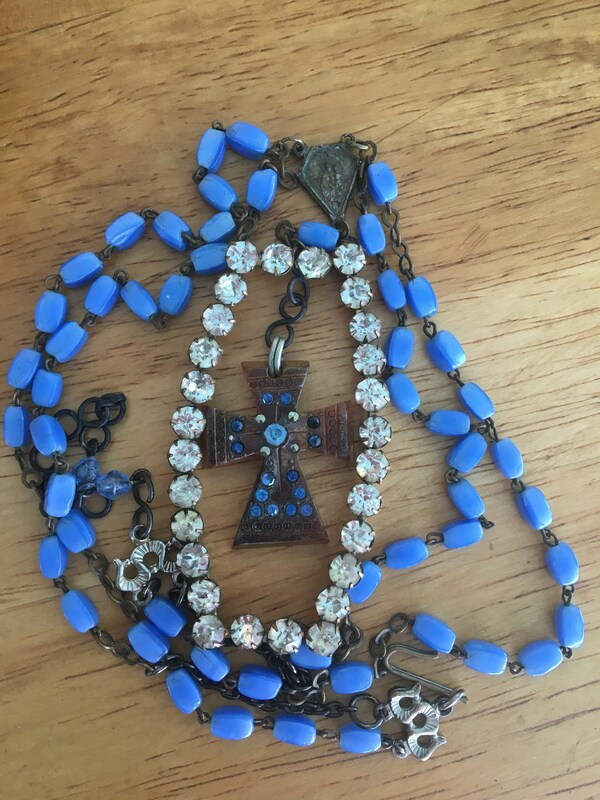 Double strand necklace features Old cross, that I think is Bakelite. 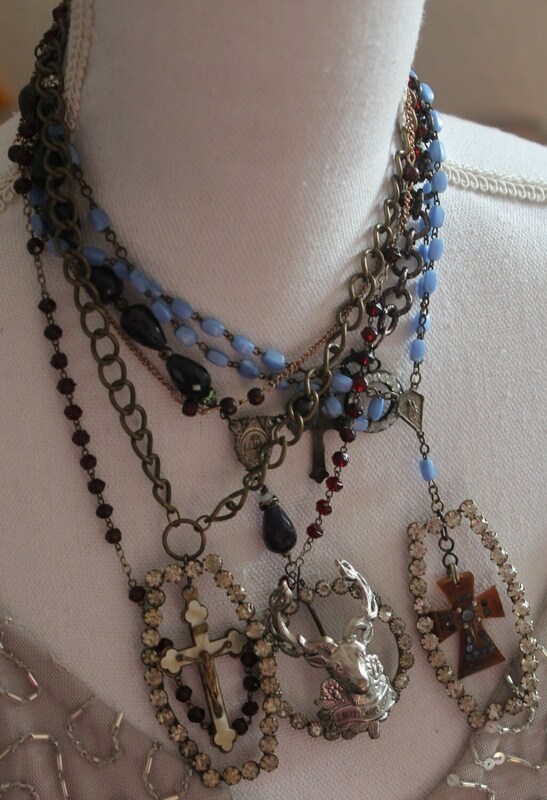 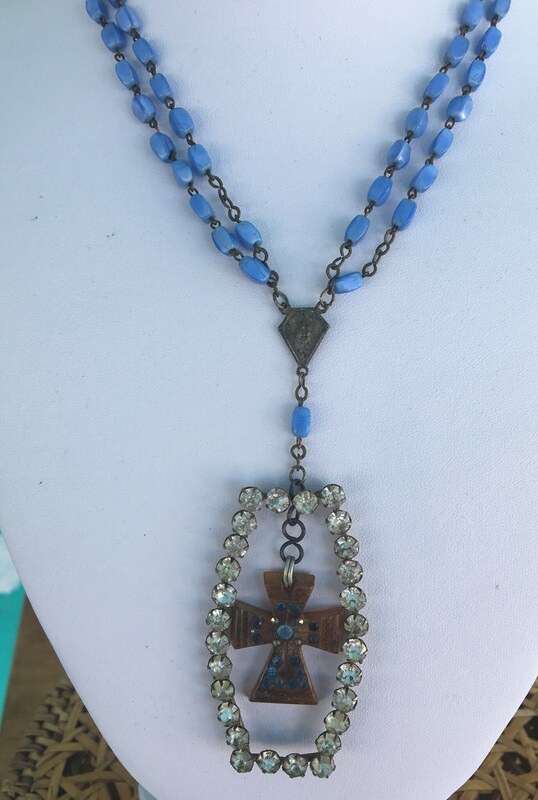 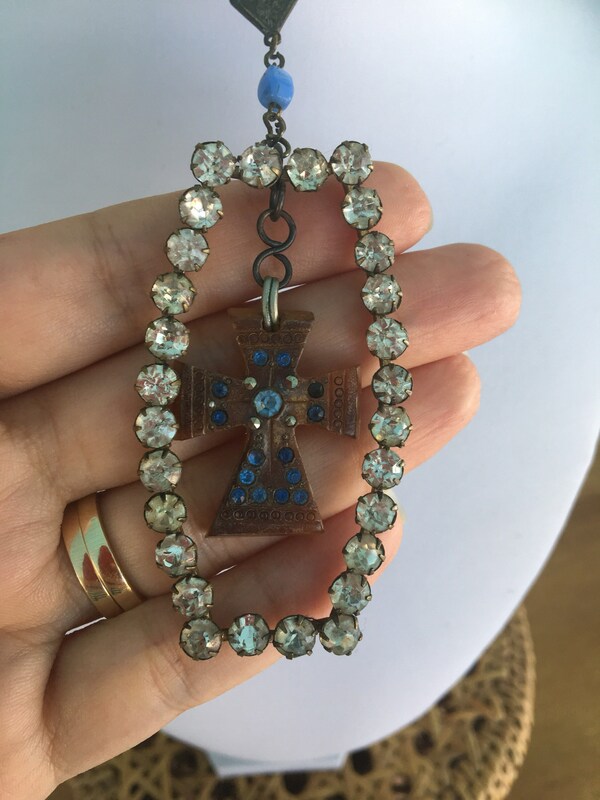 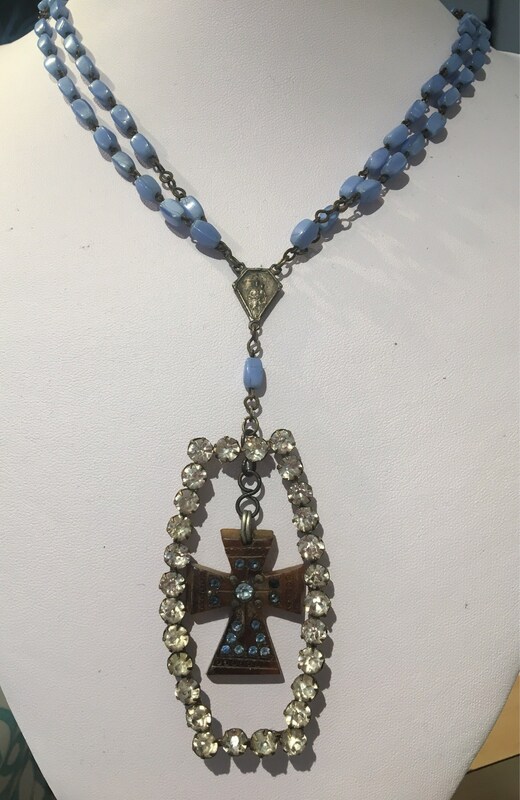 It is framed by old former rhinestone belt buckle, beaded strands are made out of repurposed blue rosary from Italy. 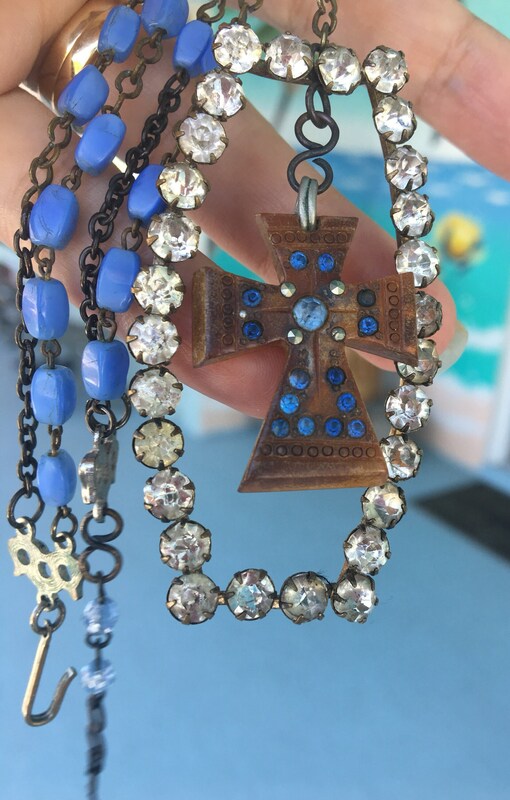 To assemble this necklace I also used old rosary beads, vintage double strand connectors, bronze chain, gold filled chain with the glass beads and brand new lobster clasp.